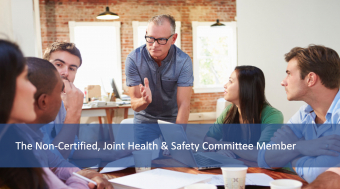 In Ontario, there are specific requirements for certain members of the Joint Health and Safety Committee (JHSC) to receive Chief Prevention Officer (CPO) approved certification training. The certification process is an intense two-part, five-day Ministry of Labour (MOL) mandated training. It is important to understand that a committee often consists of more than the two certified members. Non-certified members also have important functions in the overall effectiveness of the committee but are often inexperienced, unknowledgeable and untrained to perform their duties effectively. Anyone who has been appointed, elected or volunteered to be on the JHSC but, who is not a certified member, must still understand the roles, functions and powers of JHSC members. Integral to the Internal Responsibility System (IRS), non-certified members support the committee’s primary function of improving the health and safety of a workplace and are a valuable asset when they are trained in legislative requirements. Their training allows them to contribute experience and ideas, obtain information on issues that worry workers, listen to and contribute suggestions by management and/or employees and make referrals to supervisors or the JHSC. While there are no legislated committee-specific training requirements for non-certified members, they must, like all workers, complete basic health and safety awareness training.This training provides a fundamental understanding of health and safety basics but, does not address the roles and responsibilities of a health and safety committee member or provide information required to be an effective committee member. Where non-certified committee members complete a non-certified health and safety committee training, it is considered to be best practice. This is due diligence in action. Instead of expecting untrained health and safety committee members to learn on their own, ensure their effectiveness by providing training that increases their value to your health and safety program and, as further proof of your due diligence activities. Engaged Employees – when the IRS is functioning as it should; whereby, everyone is involved, employees respond positively to involvement in health and safety as one of their integral rights, The Right to Participate. Fiscal Prudence – training costs may be restrictive for certifying all JHSC members; training non-certified members may allow more employees to be trained to ensure effective running of the JHSC. Less Impact on Production – full JHSC certification means five days away, while non-certification training has a far lower impact on lost production time. 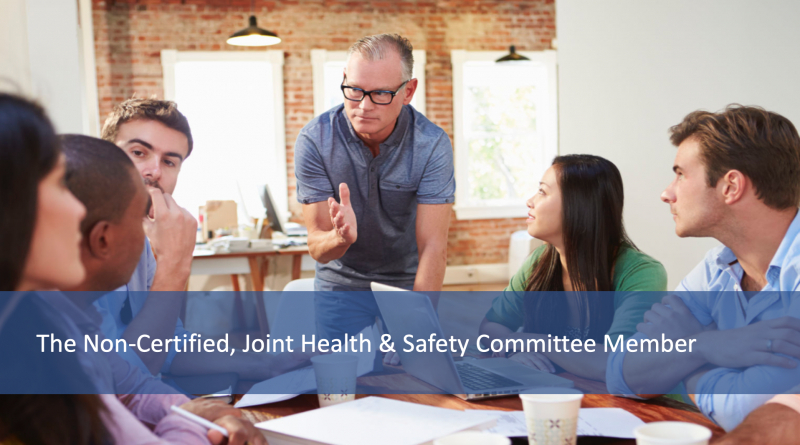 Improved Committee Efficiency –provides solid foundational knowledge to non-certified members so they can be effective contributors to the JHSC functions.